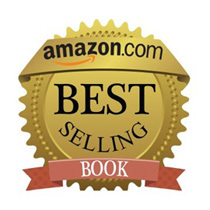 The One Book on Dementia / Alzheimer’s that NO ONE Else Could Write! Read this powerful Book! Listen to the Unbelievable Story! Learn from an Accomplished Speaker, Caregiver and Author. Apparently my mom was adamant that someone had stolen her pants. Out of sight on the other end of the phone, I rolled my eyes. Someone stole her pants. How ridiculous, I thought. It is painfully difficult to watch a loved one decline as dementia ravages their mind, destroying memories, rational thinking, and judgment. In her touching memoir I Will Never Forget, Elaine Pereira shares the heartbreaking and humorous story of her mother’s incredible journey through dementia. Pereira begins by offering entertaining glimpses into her own childhood and the feisty teenage years. Through it all, Pereira shares how her mother's unconditional love and creative parenting style helped mold an opinionated young woman into a resourceful adult who eventually would move mountains on her mother’s behalf. As Betty Ward slowly begins to wander down the dark and narrow corridors of Alzheimer’s, Pereira details her mother’s amazing ability to mask the truth until something as innocuous as a drapery rod suddenly launches a waterfall of events. As their roles shift and a new paradigm forms, Pereira transforms into a caregiver who blindly navigates dementia’s unpredictable haze while her mother orchestrates Houdini-like disappearances and surprisingly rallies to take charge of her own destiny. 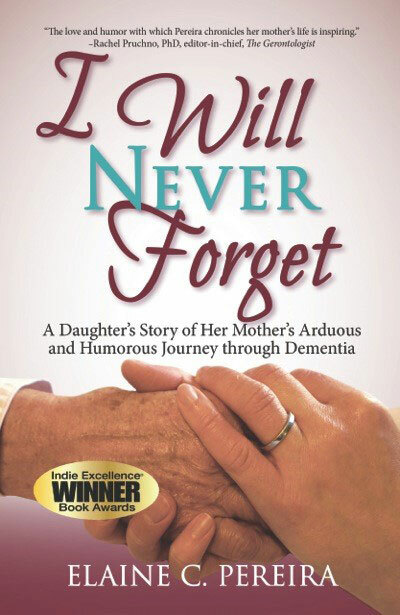 I Will Never Forget is a heartwarming, funny and powerful true story pertinent to anyone touched by the insidious effects of Dementia and provides comfort to caregivers to know they are not alone. 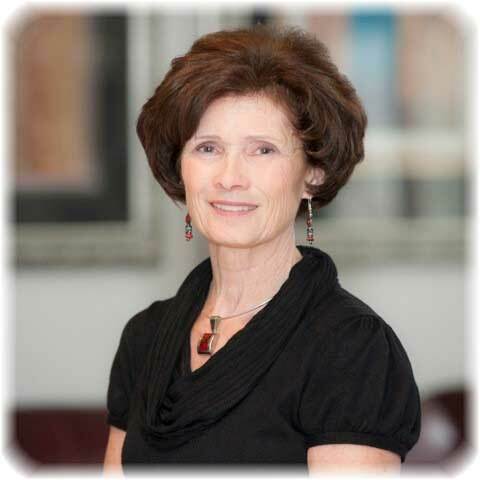 Learn from Elaine's unwitting mistakes as she weaves through uncharted waters to capture insightful and effective intervention strategies. And finally, accompany Elaine through her journey with her mother as a once brilliant mind is slowly destroyed by Dementia's ravenous appetite for brain cells. “As a former caregiver for my mother, I have experienced the gamut of emotions that accompanies talking to - operative word here is “to” as sometimes it is not a reciprocal talking “with” conversation - someone with significant short term memory loss”. Brown Pants Caper: “I received a call from an employee at the senior complex where my mom lived. She explained that she was in Mom's apartment helping her “look for two pair of brown pants” that Mom had reported missing. How strange, I thought. I quickly visualized a masked thief, slithering into her third floor apartment during the cover of darkness to confiscate two pair of brown pants. Mom had thousands of dollars of gold and gemstones and someone stole pants! Absurd. I held back my laughter, but inside I was busting at the seams. A week later when I visited her, I also rummaged through her closet looking for pants that weren't there and that I was certain Mom had donated years before. “I think the cleaning ladies took them,” Mom insisted with a hiss. You've got to be kidding Mom, I thought. Why would anybody take size-four petite pants? I shook my head repeatedly as I simultaneously visualized either the very tall or the short, overweight cleaning women swiping brown slacks and inconspicuously stuffing them into their carts. I had to suppress an inappropriate chuckle at that visualization also. There were many other ludicrous “stolen items” reflective of Mom's deteriorating paranoia. Although rational and logical thinking were waning fast, humorous stories abounded. Mom reported someone had stolen the houses-for-sale advertising section of the newspaper. Someone else stole her nail file. Seriously, a nail file? Then one day I was met at the door, even before a “Hello,” with “I had a piece of lint right here and now it's gone.” Mom punctuated her words by thumping the table repeatedly with her finger. “Someone stole my lint!” As hard as I tried, I couldn't suppress the giggles and burst out laughing. Lint? Lint. Stamps. Newspaper ad insert. Old brown pants. A Pair of shoes. Keys. Elaine C. Pereira is the author of I Will Never Forget - A Daughter's Story of Her Mother's Arduous and Humorous Journey Through Dementia. Winner National Indie Excellence Awards Contest, Aging Category!